Pam originally tried to hire me for her older daughter's bat mitzvah a few years ago but I was already booked. 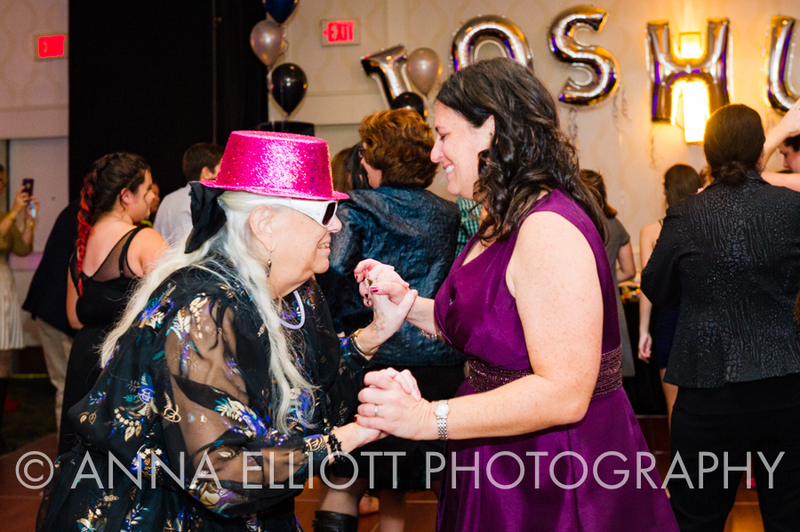 For Josh's bar mitzvah, she called as soon as she got his date (I think it might have been a few days after her daughter's reception). One of my favorite things about Pam is how organized she is. She came to my house a few days before the bar mitzvah to go over details (did I mention that she planned the entire event herself?). She handed me a purple folder with my name on it and told me it was mine to keep. I opened the folder and found the timeline for the reception, the room layout, notes and lists about which people to get photos of, how the candle lighting was going to work, notes about the food and the details of a surprise serenade from Josh's friends. It was an exhaustive list and before you start thinking 'uh oh...', let me assure you that Pam was not an overbearing, type-A mom. She's just jaw-droppingly organized and it made my job so much easier. 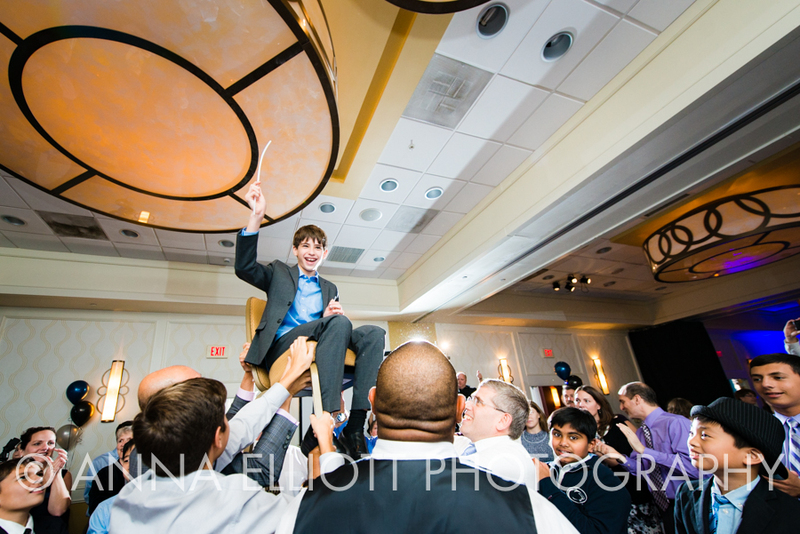 The bar mitzvah was at Temple Rodef Shalom and the reception was at the Tyson's Corner Marriott. There wasn't a theme, per se, for Josh' reception. Instead, his mom made a logo and the logo was the theme. The coolest part? The table assignment cards were actually LED cubes with the guests' names on them. Check out the photo in the sneak peek below to see how they managed to light up his initials on the cubes.